You have probably noticed that many of our dual-hand keyboards are available with the Maltron letter layout as an alternative to QWERTY, QWERTZ, AZERTY, etc. The Maltron letter layout was developed by us as an alternative to the QWERTY layout, which was designed to slow down the typist to avoid jamming the mechanism on early typewriter keyboards. 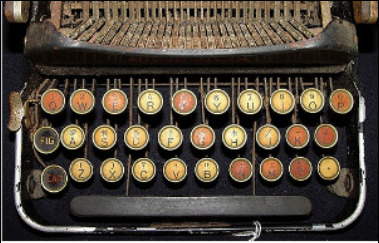 Consequently, the QWERTY letter layout that we all know (and love?!) is by design incredibly inefficient and forces unnecessary strain and movement of the hands and fingers. The Dvorak keyboard layout goes some way towards addressing this issue and is certainly an improvement over QWERTY, but the Maltron layout goes a big step further. The Maltron letter layout is based on extensive frequency of use (FOU) analysis, and places the most used letters and functions where the fingers and thumbs may easily and comfortably reach them. For anyone used to QWERTY (or Dvorak), the Maltron layout is a radical change, and will require some retraining. However, this can usually be achieved within just a few weeks. A free Maltron layout training course is available under the Training section of this website. You will wonder how you ever managed to type using QWERTY, but don't take our word for it; have a look at some testimonials here. Combined with the highly ergonomic shape of our 3D keyboards, you will have the ultimate in typing comfort.